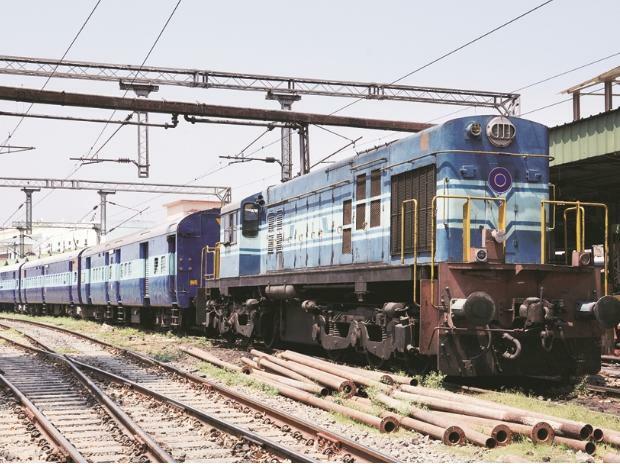 The Indian Railways has set a record by handling 1,175 million tonnes (mt) of freight till the middle of March in 2018-19, surpassing 1,160 MT in the previous fiscal year. The transporter has handled incremental freight traffic of 54.14 mt from April to February in 2018-19. At this pace, the railways is expected to surpass the revised freight target of 1,216 mt for the current fiscal year. “By February, we handled an additional 54 mt, compared to the same period last year. The addition is mainly from coal, where the incremental traffic was 45 mt by the middle of March,” said an official. From April to February 2018-19, the railways handled additional traffic of 5.16 per cent, totalling 1,103.53 mt against 1,049.39 mt during the same period last year. Freight earnings for the year have till now increased 11 per cent to Rs 1,23,391 crore. "This is a major achievement considering the fact that freight traffic remained almost static for several years," he said. Freight traffic was at 1,107 mt in 2016-17 and 1,104 mt in 2015-16. Compared to loss-making passenger traffic, the freight segment is the major revenue earner for the railways, contributing to around 65 per cent of its earnings. The official said several initiatives including freight rationalisation, classifying new commodities, expanding the freight basket, and entering into long-term tariff contracts with key freight customers helped the railways. 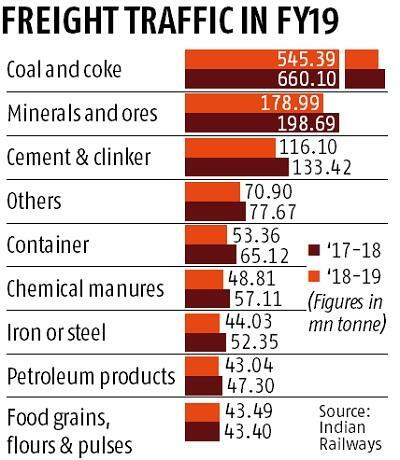 Other measures taken by the Railway Board to increase freight revenue include increase in freight rates of coal and RMSP (raw material for steel plants) by 8.75 per cent and increase in the haulage charge of container trains by 5 per cent in late 2018. Passenger reservation earnings increased by 7.02 per cent to Rs 34,721 crore. The railways is targeting increasing its share in freight traffic from 33 per cent to over 40 per cent by 2022. The freight business is backed by commodities like coal, iron, cement, steel, food grains, fertilisers, and petroleum products. According to the data available with the railways, during the current financial year, it handled 21 per cent more coal, touching 660 MT so far. Among the other commodities, major increases came from the container and iron/steel segments, where the increase was 22 per cent and 19 per cent respectively. The increase in coal traffic has helped the power sector in that there are now no thermal power plants with critical coal stocks.